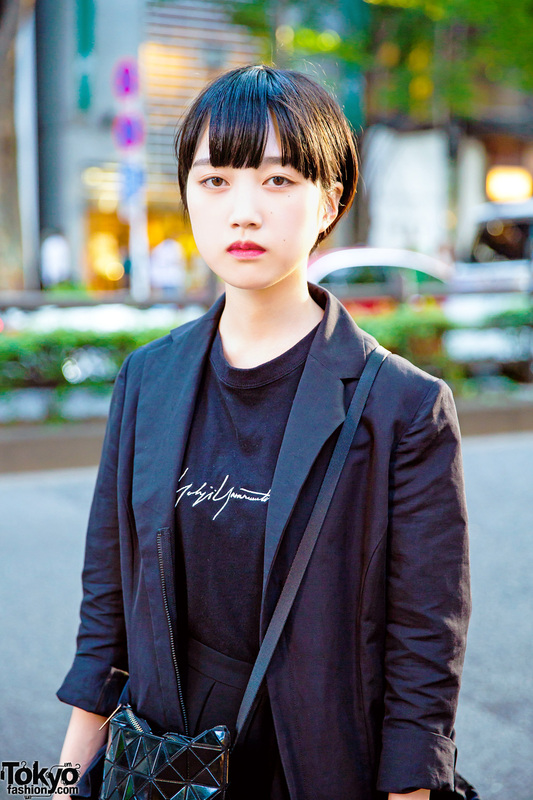 This is Megumi, whose striking minimalist monochrome ensemble caught our eye while wandering down the streets of Harajuku. 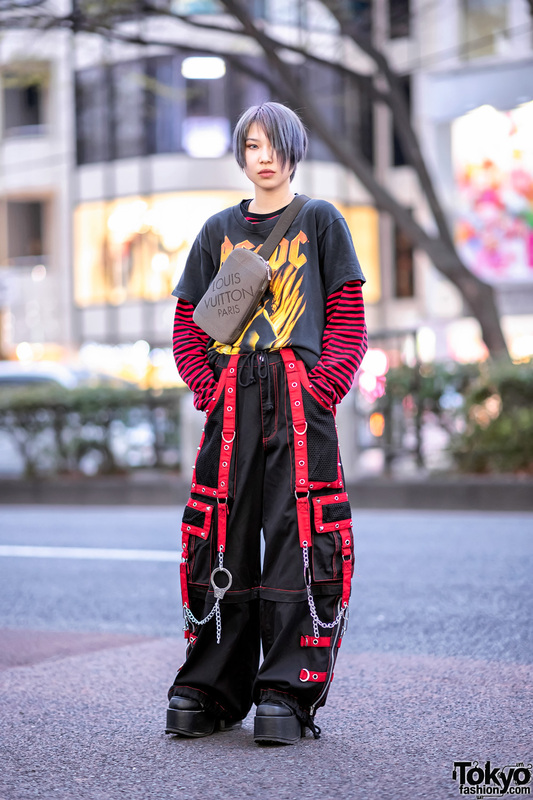 The 20-year-old donned a Yohji Yamamoto top tucked into a Junya Watanabe Comme des Garçons long skirt. 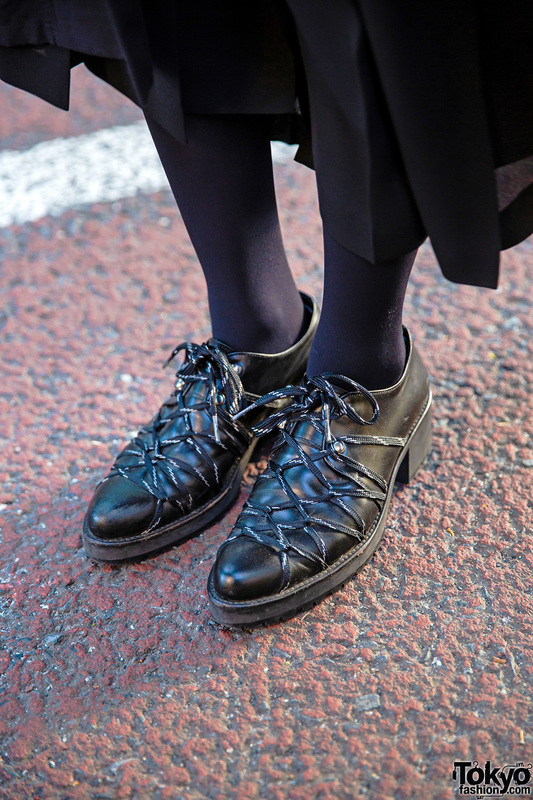 Megumi styled them with black tights and Yohji Yamamoto black leather shoes with block heels and a lace-up design. 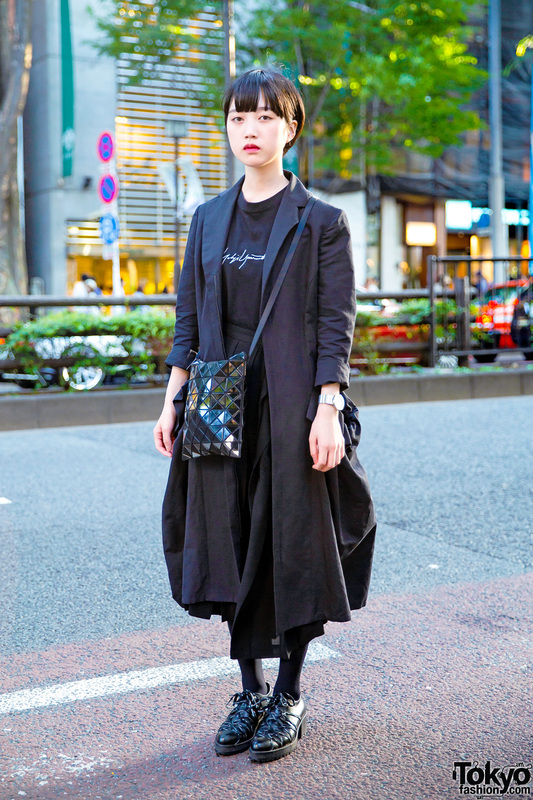 She capped off her look with a Bao Bao Issey Miyake crossbody bag, a Yohji Yamamoto maxi coat, and Issey Miyake accessories. 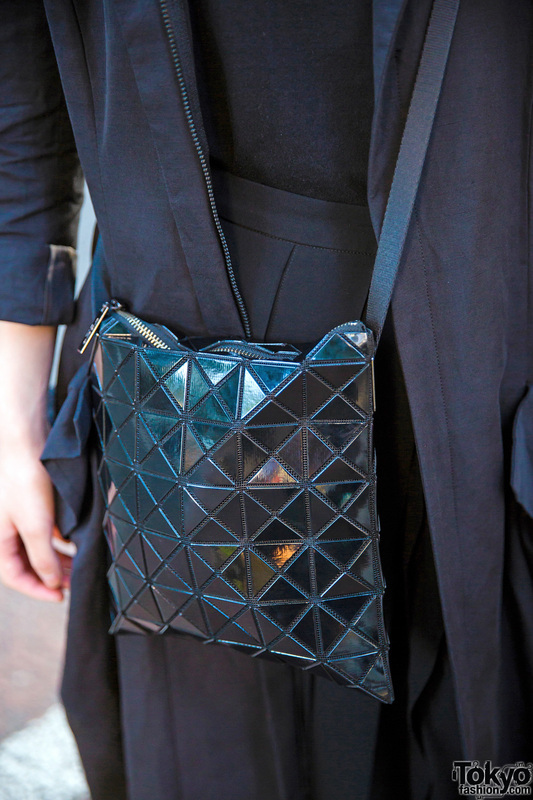 As for her favorites, Megumi loves fashion label Issey Miyake and Japanese rock group Suchmos. Follow Megumi on Instagram to keep up with her social media updates.